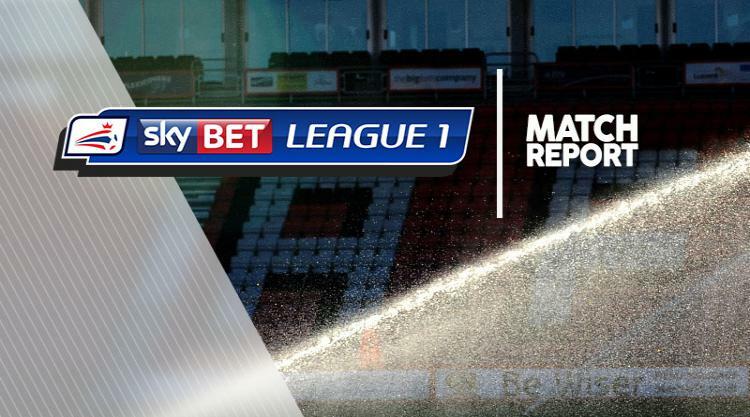 Sky Bet League One leaders Shrewsbury maintained their unbeaten start to the season with a hard-fought 1-1 derby draw at Walsall. The Shrews have still not won at bogey side Walsall since 1993 but top scorer Stefan Payne's penalty earned them a point, cancelling out Dan Agyei's wonder-strike for the Saddlers. Walsall led after 13 minutes as on-loan Burnley striker Agyei curled a sublime 25-yard strike over Shrewsbury's former Walsall goalkeeper Craig MacGillivray. But Town were level in the 19th minute when Payne swept home a penalty - his sixth league goal of the season - after his close-range header had been kept out by Jon Guthrie's flailing arm. Payne almost put Shrewsbury in front after 34 minutes as he rounded Mark Gillespie but was denied by Kory Roberts' goal-line clearance. A stunning Payne volley was chalked off by a close offside call shortly afterwards, before a second half that yielded far fewer chances. Walsall almost won it in the 89th minute but MacGillivray superbly tipped over Tyler Roberts' close-range header to preserve Shrewsbury's unbeaten record.